Shacknews gets the scoop on the latest Elder Scrolls: Online Update 20 and Murkmire details straight from the game's creative director. 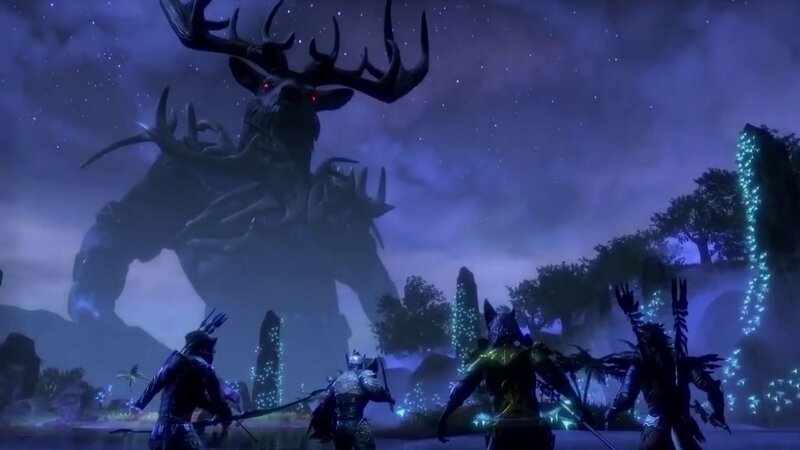 Shacknews was recently able to sit down with Rich Lambert, creative director on Elder Scrolls: Online, to learn more about the game's latest features. Chief among the discussion was Murkmire, the new zone being added to the southern coast of the Black Marsh, as well as the incoming Update 20, which sees tweaks to the Housing System and improvements to combat. "In Murkmire, one of the things that we focused on was navigating the zone. It's a swamp, and it's hard to make a swamp interesting and fun, but we did learn a lot. [...] Things like most of the water is knee-deep or lower, so you can mount, you can run through, and you're not stuck swimming all the time. We've broken the zone up into three distinct biomes, so it's a little bit easier to tell where you are in your progression through the zone. And we've just opened it up more, and there's more landmarks, so it doesn't feel like you're trapped in these big tubes of content. It's more fun to explore the zone." Lambert also touched on some of the lessons learned from past expansions, particularly with regard to balancing new challenges. The latest expansion is "essentially all max-level, and the player gets a buff on them that approximates the relative skills and stats." The idea is to keep progression and acquisition of new gear appropriate to all players regardless of level or experience. For more great videos, including games convention coverage and developer interviews, be sure to check out Shacknews and GamerHub.tv over on YouTube.